On Molokai, Governor Ige stands with homesteaders and Department of Hawaiian Home Lands officials for the historic bill signing to keep DHHL families statewide on their land. It was a busy month for Maui County with bill signings, a groundbreaking, a popular community festival and the transition of Maui Memorial Medical Center, Kula Hospital and Lāna‘i Community Hospital to Kaiser Permanente’s affiliate, Maui Health System. 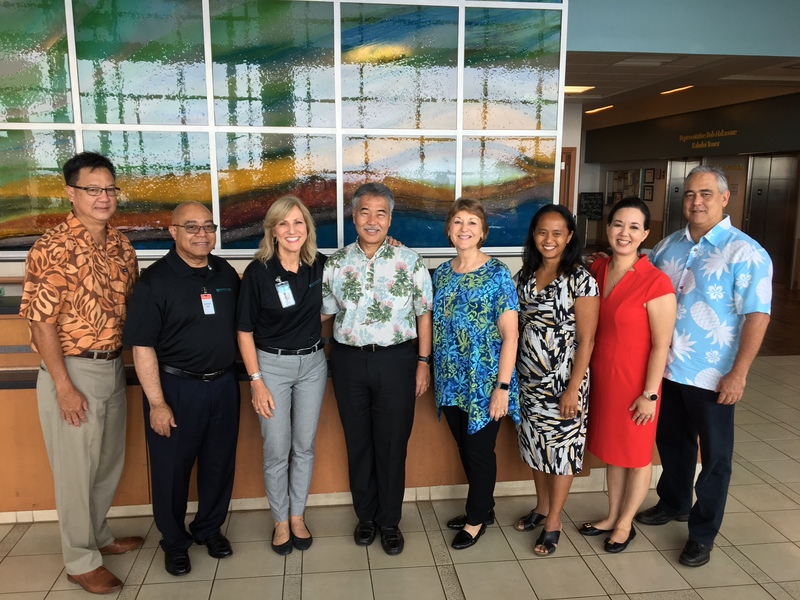 At the Maui Region hospitals transition with legislators, hospital and Kaiser officials. 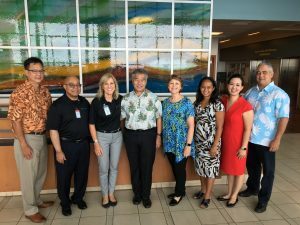 On Maui July 1, the governor participated in a ceremony that marked the transfer of Maui’s state hospitals to the Maui Health System, an affiliate of Kaiser Permanente. 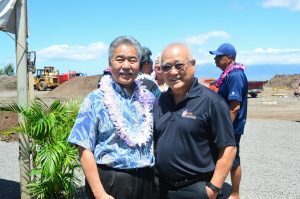 On July 7, he also helped break ground for Hale Mahaolu Ewalu Senior Housing with executive director Roy Katsuda. 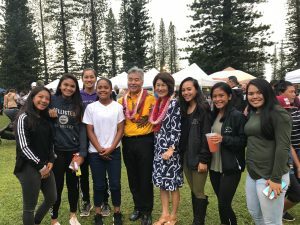 On Lāna‘i, the governor and first lady Dawn Amano-Ige shared in the fun of the Pineapple Festival, an event that honors the island’s proud plantation heritage. They met many island residents, including members of a girls’ softball team. Governor and first lady Dawn Amano-Ige with a girls’ softball team at the Lana‘i Pineapple Festival. Governor Ige with executive director Roy Katsuda at the Hale Mahaolu Ewalu Senior Housing groundbreaking on Maui. 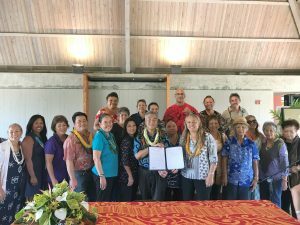 governor has signed a bill on Moloka‘i. He also met Moloka‘i’s Kualapu‘u School robotics team, who took 2nd in the 2017 VEX IQ World Championship against 272 teams from 30 countries.